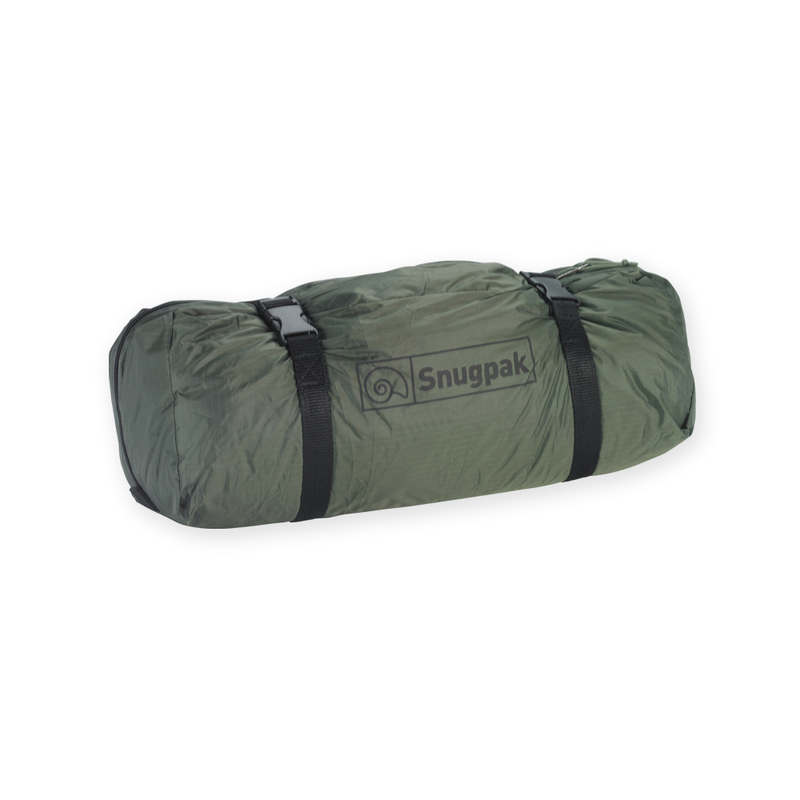 Snugpak The Cave is a spacious and functional 4 person tent. 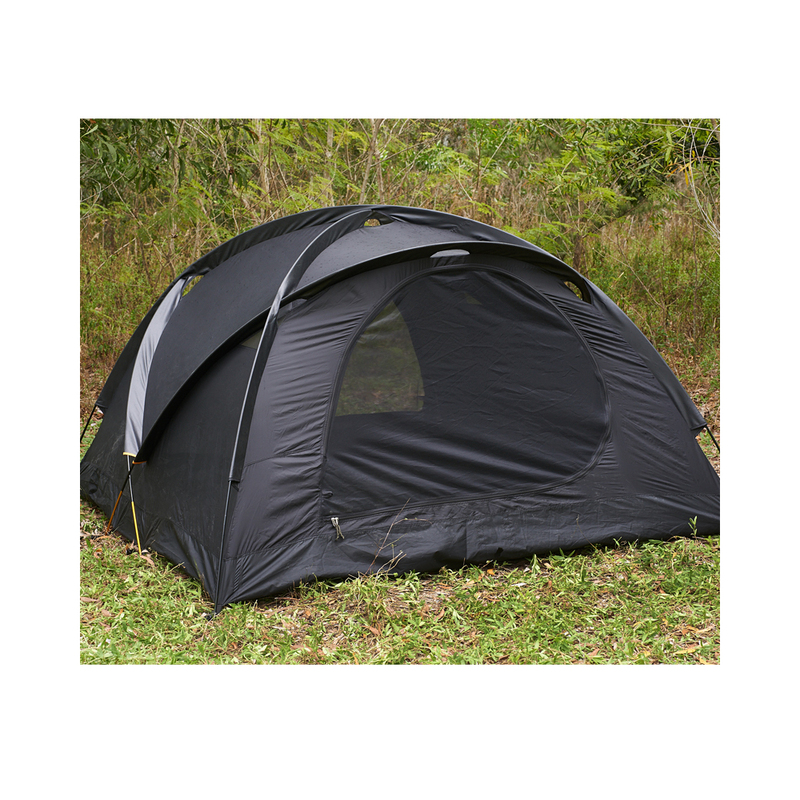 Constructed out of the same high end fabrics and components as well as utilizing the DAC Featherlite NSL anodized poles with pressfit connectors that have made our other tents so well-known and respected. Unlike the Scorpion 2, Scorpion 3 and the Bunker, the Cave is not a Fly-First Pitch type Design. 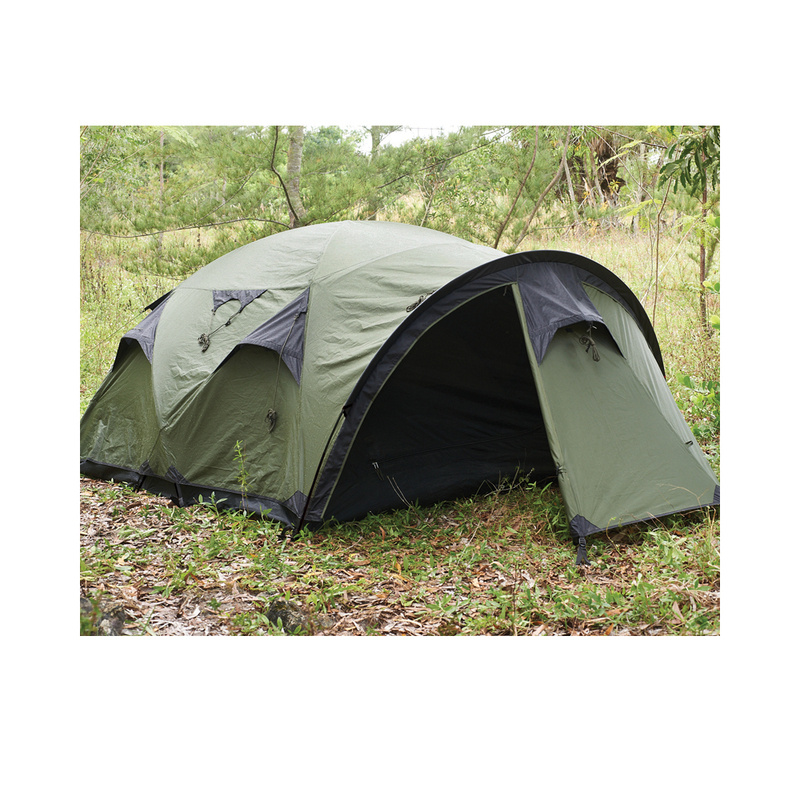 Due to its size and design the Inner Tent needs to be set up first and then the fly, if desired. 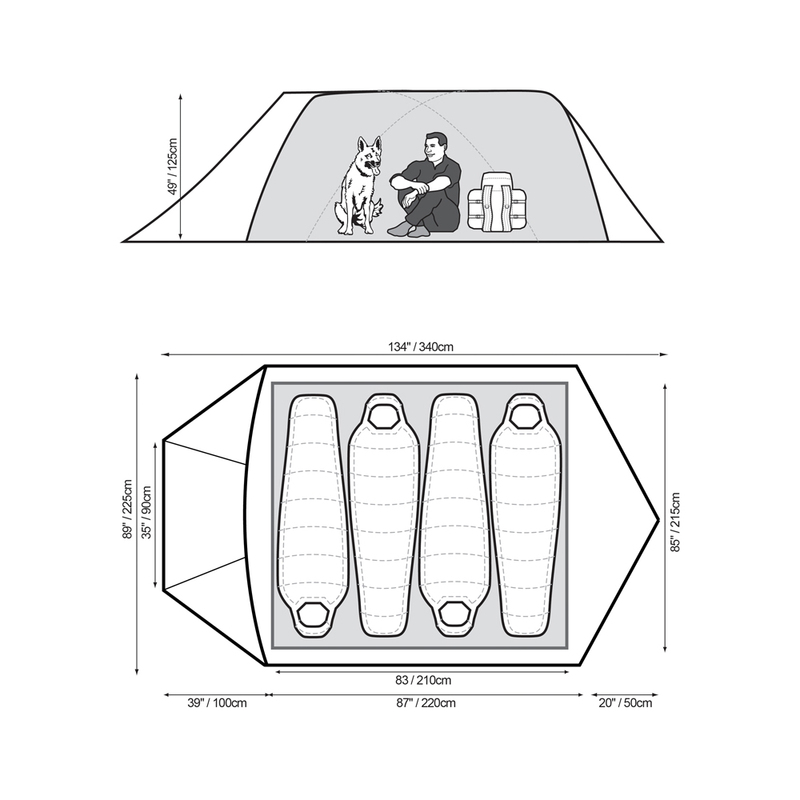 The Cave has two access doors and when the Fly is used, each access door has a vestibule. Note, each vestibule is different. One has a single zip centered, the other has two zips which can create a nice wind blocked entrance if only one portion is used to gain access.